We are a company specializing in all aspects of thatching. With more than 28 years’ experience in thatching, we have all the ingredients to guarantee client satisfaction. 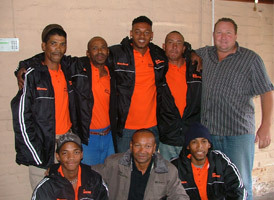 Situated in Cape Town, we are the preferred choice in the Western Cape for thatched roof construction and repair. From a small gazebo with a roof made of thatch to a braairoom or house with a thatched roof, our work is of the highest quality. We only use SABS approved timber and selected Albertinia reed. Projects undertaken are well supervised with very reliable staff. We pride ourselves in being one of the leading thatching companies and strive to set the highest standards. Our commitment to perfection has proven highly satisfactory. 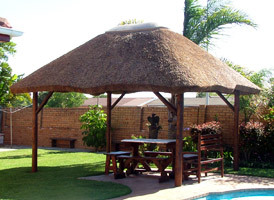 Please contact us for a quote on thatched lapa, thatched umbrella or any thatching you require.